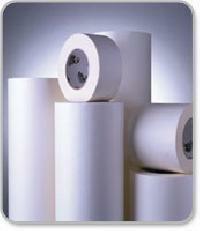 We manufacture a resilient range of glassine poly paper and have carved a niche for ourselves in the market. Our range of glassine poly paper is ideally used for strip packing of pharmaceutical tablets and for making sachets for sugar, salt, pepper, tea, detergent powder, etc. Our range includes printed as well as plain glassine paper reels that are ideally suited for automatic packing machines. We follow a stringent quality management program to ensure that our range of glassine poly paper offer complete safety of the packed item. Our organization is counted as one of the best manufacturer and exporter of a wide range of high quality laminated sheets, Paper Foil laminate, poly products and promotional products. Despite the diversity in our range the common feature that cements our range is its durability, superior quality and high resistance. Backed by the constant support and motivation, of our mentor, Mr, Aditya Kumar Ojha who has almost years of experience in this industry we have reached the pinnacle of success by virtue of customer centric approach, hard work and excellent technical expertise. With his help and guidance, we have earned a reputation of providing our customers with unmatched quality and timely delivery of our products and under a reasonable budget, although being in the field for only about one year. We are engaged in offering Special Laminates as Liners for Tea, Spices, Glucose Powder, ORS Powder Lubricant Oil, Aluminium Foil based Laminates, Paper Foil Based Laminates, Laminated Lid Material and also offers Poly Products, Induction Sealing Wads, and Promotional Products. We have a team of well qualified, dedicated and experienced personnel to help us in the design and manufacture of our products. The company is capable of meeting the different challenges in its field of operations and offer its customer cost effective customization of product to meet their ever changing requirements. Being a quality driven company, we have inculcated several quality checks in our production process. Our production undergoes number of stringent inspections, quality control measures and documentation to ensure quality output. Our objective is to keep improving upon the standards set in the past by giving quality products, endure timely delivery and supply according to customer specification and to provide them with utmost satisfaction.